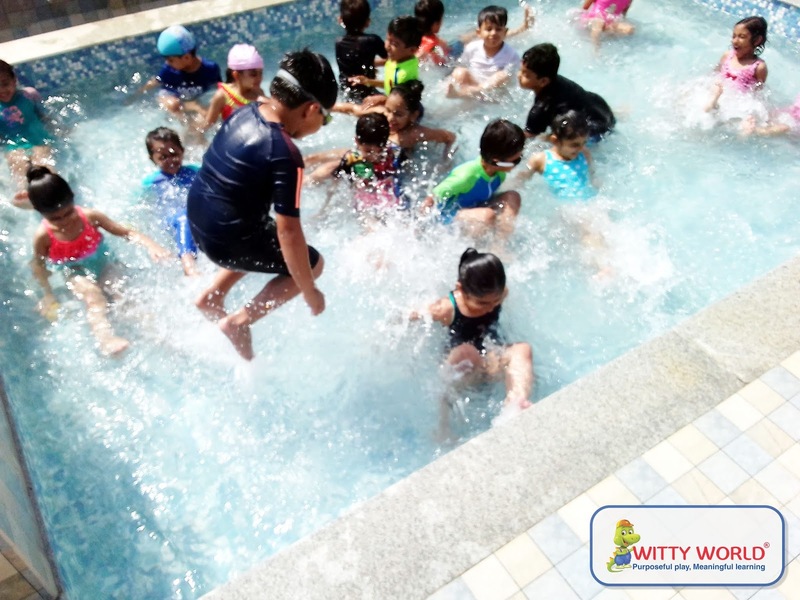 At Witty Kids we believe in experiential learning in different ways. What could be better than water play. Water play serves as a catalyst to enhance a number of developmental areas like physical and social skills. 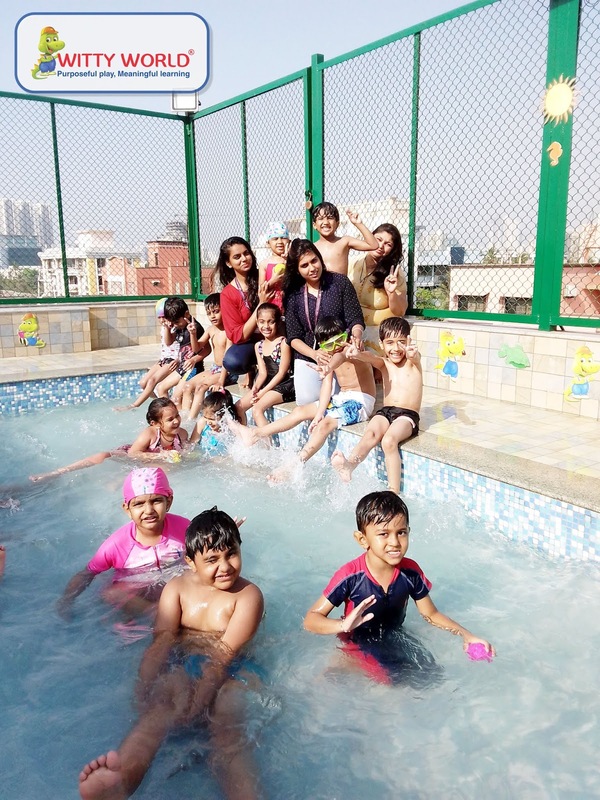 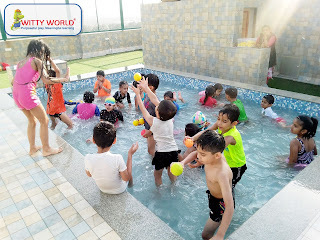 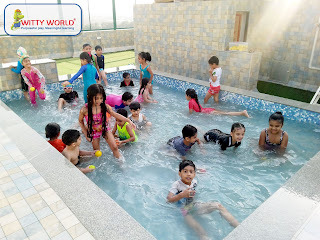 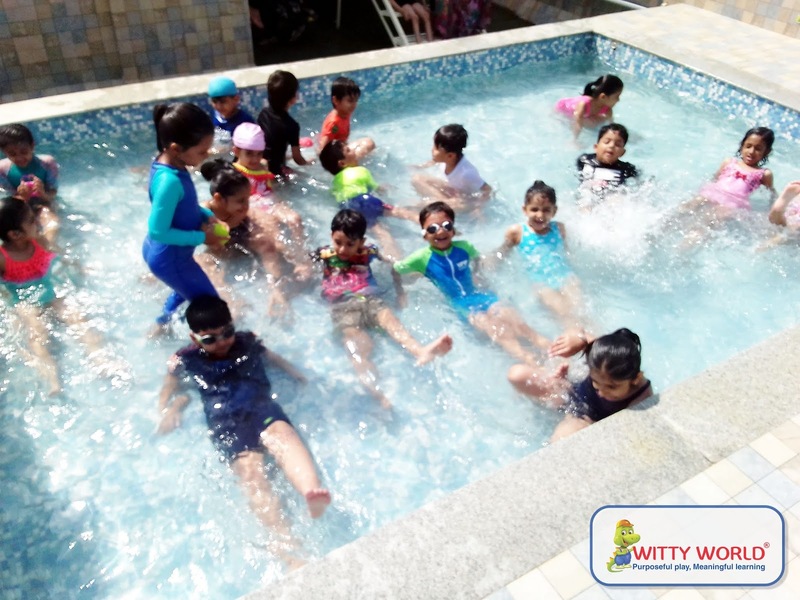 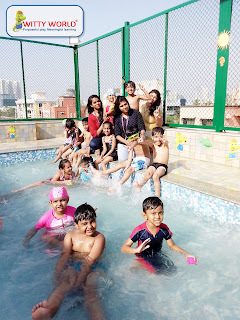 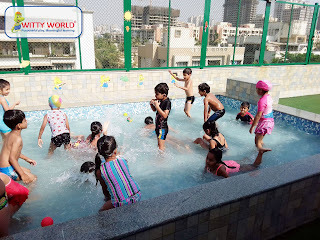 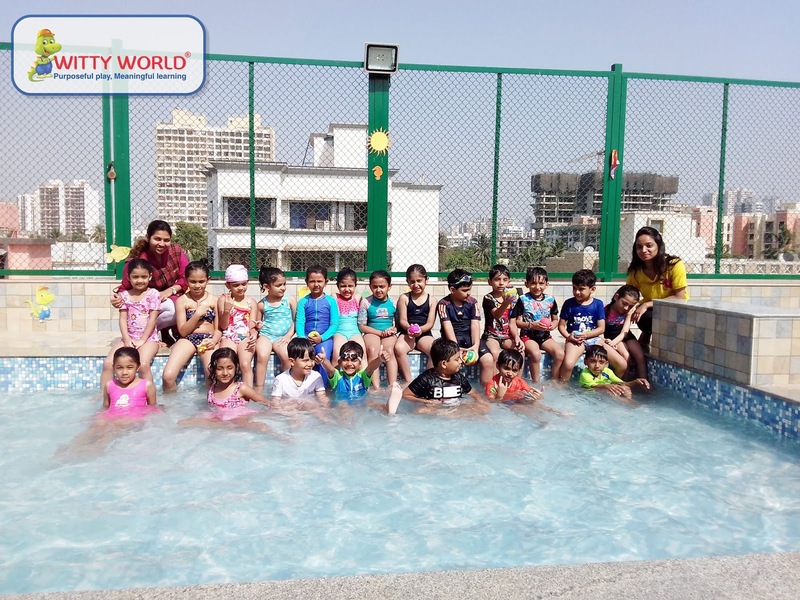 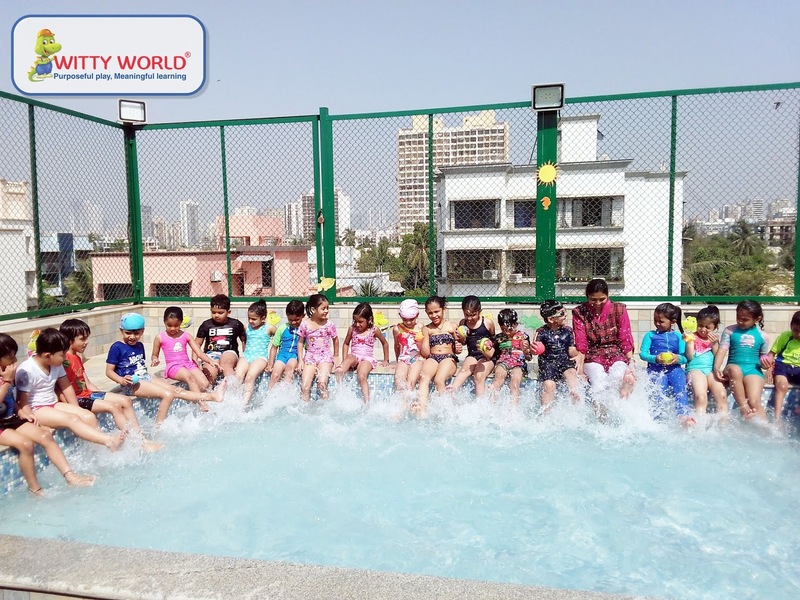 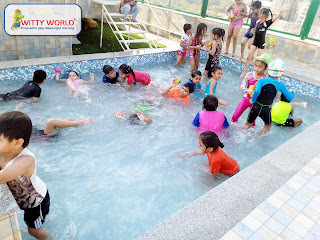 So, Children of Sr.KG section were taken for water play in our in-house mini swimming pool. 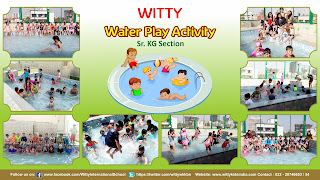 It also soothes the mind and senses. 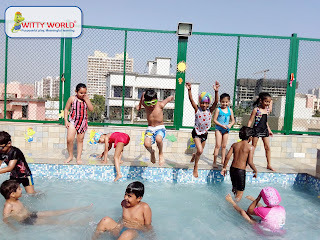 During water play there is no right or wrong way of playing. 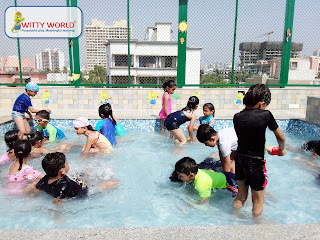 Water play provides a lot of open ended opportunities for extended learning. 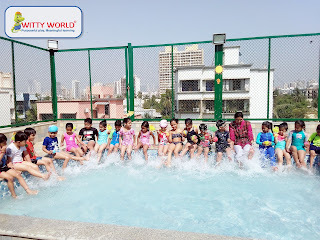 Children had a great time playing in water along with their peers as well as teachers.